As we head into the 2018/2019 ski season, we caught up with Rob Stewart, ski writer and ISIA instructor to give prospective snowsports instructors all the essential information they need if they want to become a ski instructor. 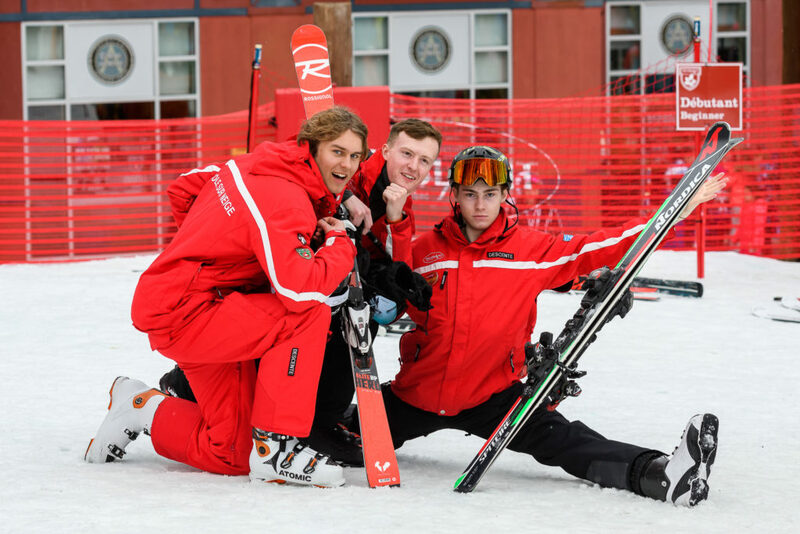 There are a lot of myths surrounding ski instructor qualifications and where it’s possible to work as a ski instructor, especially if you’re British. But we have laid out the facts about what qualifications can be used where in this essential guide to becoming a ski instructor. What Ski Instructor Qualification Systems Are There? Which ski instructor certification systems are the most popular? As a native English speaker you have various options, but it makes sense to enter an English speaking system and one with a good reputation, for example. The most popular internationally recognised ski instructor certification systems are typically CSIA and BASI. Both consist of four levels of certification. Each level has a number of different components to it. You don’t have to reach the highest level before you can start working as a ski instructor. What Level do I need to get to? This depends on which countries you might want to go on and teach in. Level 1 generally restricts you to working in the country whose qualification system you have followed. It is considered that the Canadian instructor qualifications are the best option for fast track into the industry as gaining CSIA Level 1 allows you to work on the slopes in resort, whereas with a BASI Level 1 you are restricted to indoor and artificial slopes. However, with Level 2 CSIA or BASI you are able to work more extensively. The most important thing is to decide what country you want to work in. 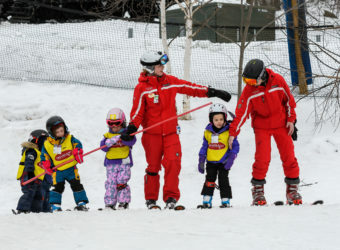 Canada has been at the forefront of teaching methodology and technique to ensure the development of snow sports worldwide. As part of a gap year many students want to go and experience the Canadian way of life as apposed to training in the Alps, a more familiar destination for holidays. For this reason, lots of students want to train following the Canadian certification system as it is highly regarded and well respected before going on to teach in other countries. A thorough overview of which countries you can work in with CSIA Level 2 certification further down. How much does a ski instructor make? Here’s some information on the salaries you might expect to make as a ski instructor in various countries. It varies hugely from one country to the next and whilst working for a ski school will never be the highest paid job in the world, it is possible to work towards higher qualifications, independent status and even ski school ownership – and of course, it’s a great job if you love the outdoors and meeting new people every week. We have listed them in US$ to make it easier to compare. France – the ‘highest paid’ ski instructors in the world earn around $65 per hour. But it takes several years to reach the required qualification and it’s tough to pass the Euro Test – a timed giant slalom run where you’re rated against some of the country’s top racers. Switzerland – the top qualified instructors can earn around $55 per hour, but lower qualified instructors will earn around $30 per hour. Living costs are relatively high in Switzerland though, so this is a factor. Japan – ski instructors can get paid between $20 and $30 per hour depending on their qualification. It’s a good and popular alternative to working in Europe if you have a Canadian qualification. 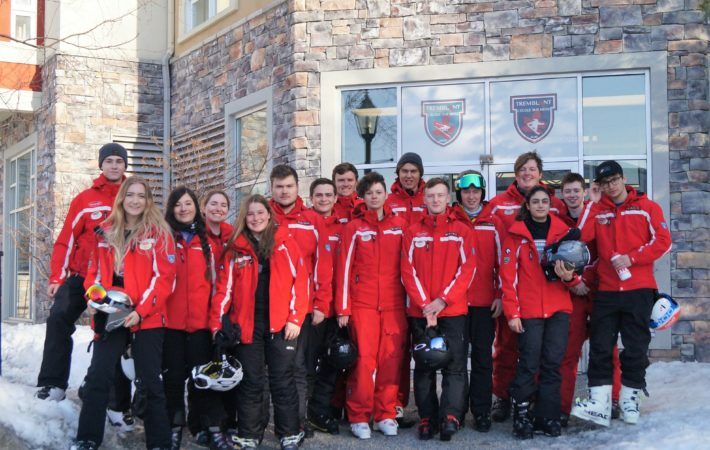 Canada – although ski schools pay between $15 and $25 per hour depending on qualifications, tips are far more common here so the overall salary is higher. In fact, ski instructors are paid more than the median wage across Canada and living costs are also relatively low. Spain / Andorra – ski schools pay between $15 and $20 per hour depending on experience and qualifications. There’s also some regional differences. Do I have to learn to teach both skiing and snowboarding? As you progress your career in the snowsports industry, having a second discipline is never a bad thing because it opens up further opportunities for work. To reach the higher qualifications in certain systems, a second discipline is required and if you’re a skier then there’s a number of other options depending on the qualification route you go down. CSIA Level 4 – it’s not until level 4 where another discipline is required and the choice includes, CASI level 1 snowboarding qualification, CSIA park exam, CSCF coaching qualification, CANSI cross country level 1 exam or CADS disabled skiing qualification. BASI Level 3 ISIA – in order to reach level 3 a second discipline is required at a level 1 standard. This can include snowboard, telemark, adaptive (disabled) or nordic (cross country). Becoming a ski instructor in France – some myths busted! Firstly, it’s absolutely not true that British ski instructors can’t work in France. There’s many established instructors living and working there – although it’s still not absolutely clear what will happen following Brexit in March 2019. British instructors can choose to apply in France and go through the French system. This is generally a harder route – fluent French is essential and employment with a French ski school is required. Most therefore choose the BASI route (or apply for the equivalent BASI qualification once they have a CSIA stamp). The only challenge that presents itself for British instructors at a stagiere level (trainee) with a BASI Level 2 qualification, is that they still need a job from a French ski school and successful pass in the Test Technique (timed slalom run that isn’t to be taken for granted). Unless you speak very good French and probably have a connection with the ski school, it will be hard to find a job as a stagiere – places are competitive, even for locals. So most decide to build their qualifications up in other countries (Canada, Japan, Switzerland) and then hope to pass their BASI Level 4 ISTD exam and Euro test further down their career as a ski instructor. Passing a French language test is also required. Once that qualification is achieved it’s possible to apply for a CartePro that allows you to work independently as a ski instructor in France, teach any level of skier and take them off-piste (providing that is not on glaciated terrain or accessed with ropes). You must work with a recognised ski shool, whatever qualification you hold. Entry qualifications to gain work with a ski school are CSIA Level 2. It helps to speak Spanish but it’s not essential as there are many English speaking clients. If you want to work in Canada then the best route is to gain a CSIA qualification. You can work straight away with a ski school when you qualify as a CSIA level 1 instructor. A work permit is required but that can be applied for via the Canadian government website. With the next Winter Olympic Games taking place in Beijing (2022) the country is investing billions of dollars into winter sports infrastructure. 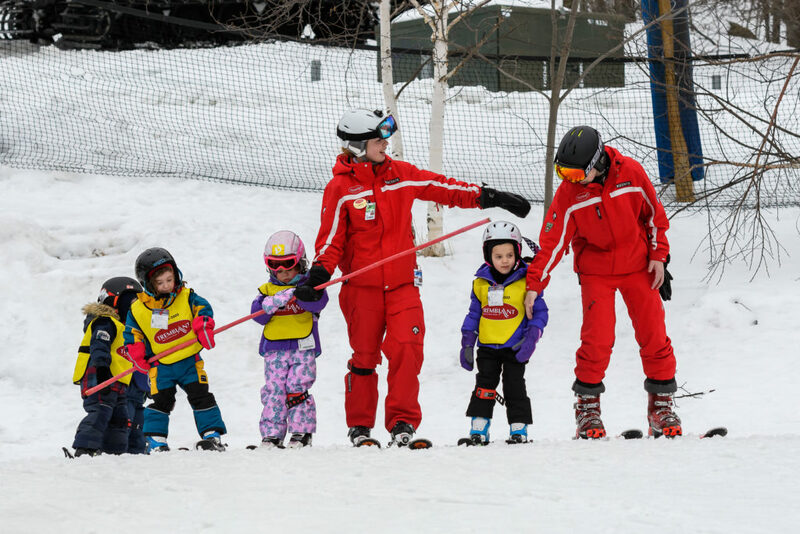 There’s opportunities within ski schools for instructors with CSIA level 2 qualifications – Club Med also has a strong foothold in China and they will employ instructors holding CSIA Level 2. It’s possible to work with a ski school with a BASI level 2 qualification if you pass the test technique (a timed slalom run). A CSIA qualification can be transferred to a BASI equivalent in order to achieve this. So if you hold a CSIA Level 2 certificate you can transfer it to a BASI Level 2 simply by submitting evidence of your certification. A ski school must be able to offer you a job and speaking French is essential. To work independently or for a British ski school then a BASI level 4 qualification is required along with the Euro Test (a timed giant slalom run). This varies by region so it’s more complicated but it’s possible to work for limited time with a BASI level 2 qualification in most regions (Aosta Valley for up to 28 days) but a full time instructor must have a BASI level 4 qualification. It’s possible to transfer the equivalent CSIA qualifications. A CSIA or BASI level 2 could secure a job with a ski school in Japan. English speaking clients make up the bulk of work. A level 2 CSIA qualification is recognised in New Zealand and with a season running between July and September, it’s a great opportunity to work in the ‘off season’. There’s opportunities to work in some of the larger ski fields in the South Island – close to Queenstown or Wanaka, and also in the North Island on Mount Ruhapehu. There’s also several smaller ‘club fields’ in the South Island that employ ski instructors, although in smaller numbers. The season runs between early July and late September in Chile and Argentina. CSIA qualifications are highly recognised in both countries, and although places and resorts are limited in numbers, British instructors do gain employment. A little bit of Spanish language skills certainly helps. It is possible to secure work with a CSIA level 1 and 2 qualification or a BASI level 2 in Switzerland. If you want to teach at the very highest level and take clients off-piste, then you need to attain a Swiss Brevet Federal, the top Swiss qualification. No ski instructor is allowed to take their clients off-piste on slopes of over 39 degrees (only fully qualified mountain guides can do that). Speaking French or German depending on the region you’re planning to work in is beneficial. 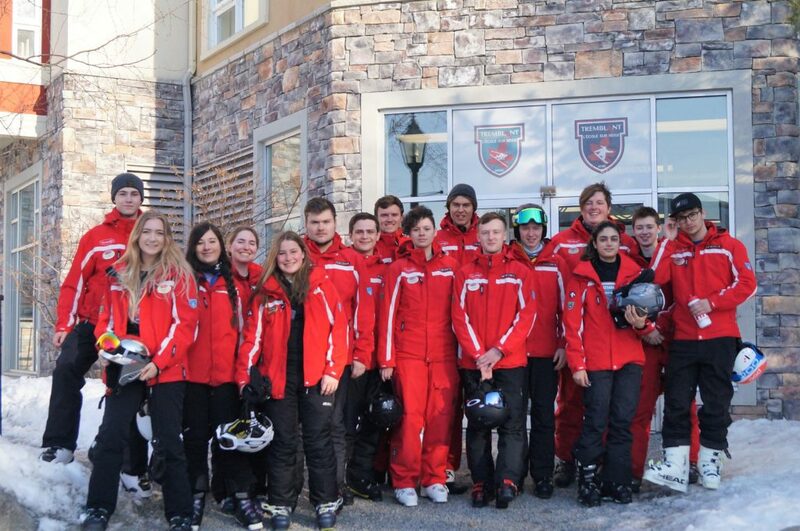 Ski schools in America employ instructors with level 1 and 2 CSIA qualifications. There’s a huge choice and variety of destinations, plus the native language is English. East coast resorts north of New York City are popular, along with Colorado and California in the west. But it’s possible to ski in 38 out of the 50 states in the USA – that’s a lot of ski schools to choose from. For more information and to discuss the options available to you, please get in touch with Ski le Gap.